→What is the Best Classical Acoustic Guitar? When playing a classical guitar, one may gain a feeling of romantic desire or whimsy. The deep tone that emanates from the carefree picking of the classical guitar’s nylon strings is one that stays with you long after you put the instrument down. Having derived directly from the modern classical guitar, or Spanish guitar as some still call it, the classical guitar of today was created, together, out of the minds of four musically innovative gentlemen: Antonio de Torres Jurado, Ignacio Fleta, Hermann Hauser Sr. and Robert Bouchet in the 19th century. Born in 1817, Antonio de Torres Jurado made the guitar, which was failing in popularity due to the influx of more loud and attention demanding instruments, more noticeable over the newer instruments by making the guitar more innovative in its structure, thus creating a louder resonance. To this day, Torres, as he is known in the classical guitar world, is arguably the most important influencer for the classical guitar crafter and player alike. Torres’s initial design of the modern classical guitar is still cherished by makers and used reverently. Back in the 1930s, Hermann Hauser Senior, born in 1882, is considered to be one of the most influential guitar makers, or what people in the industry call luthiers, of all time. He was quite the innovator in guitar design and functionality with the crisp sustainability of his version of classical guitar’s sound. Born in 1898, Robert Bauchet was a wood carving master and used his natural talent to create his idea of what the Spanish style guitar should sound like. Bauchet guitars were very much comparable to the Torres classical guitar. The late luthier, Ignacio Fleta was born in Spain in 1897. Leaving his two brothers and the instrument construction business that they had established together, Fleta opened up his own shop in 1927 and thus began his career as one of the best and most influential luthiers of all time. His overall part in the betterment of the classical guitar was when he decided to enlarge the body and add a few more braces to the fan inside the body. This made his version of the classical guitar become more loud and sustained and more sturdy in structure. These four modern day luthiers were the spokesmen of classical guitar innovation and improvement and have become legends in the guitar manufacturing industry. Today’s best classical guitar building standards have all been attributed to these four luthiers. Redwood, cedar and European spruce are all woods that most modern day luthiers use for the tops of their guitars. The backs and sides are usually made from a different wood type than that of the top end of the classical guitar and range from the rich, darkness of the Brazilian Rosewood, Wenge and Ziricote woods to the lighter browns of the Mahogany, Bubinga and Tasmanian Blackwood. These are what professional luthiers call tonewoods, meaning that sound resonates louder and richer off of the surface of these woods rather than other low quality woods. Many luthiers of today consider the come back of the art of French polishing as compared to lacquering the classical guitar as the best choice for overall acoustic transparency. Though French polish is easily damaged, which is a downfall to its many years of being the unpopular choice among luthiers to use, if damaged, the French polish is also not a problem to repair. After all is said and done, research is the key to understanding what the classical guitar should sound and perform like. Though they look very similar in body structure to the acoustic guitar, the classical guitar uses nylon strings as opposed to the acoustic guitar’s steel strings. Also a thing to take into consideration when shopping for your first classical guitar is that the six nylon strings off the fret board are further apart for ease of finger picking. 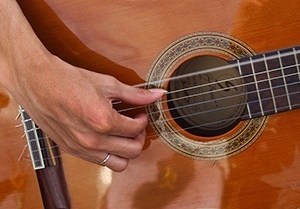 Though most classical guitar enthusiasts use this more traditional form of guitar play, they sometimes choose to use a pick on some occasions when the mood suits them. This is what makes the classic guitar so versatile when playing. 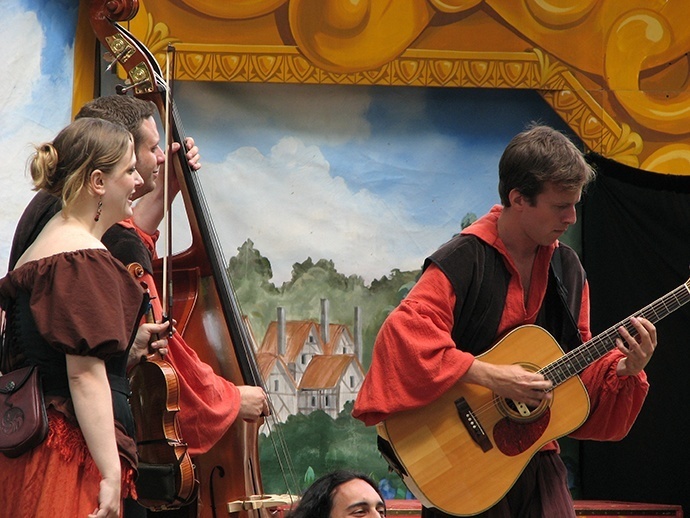 Acoustic guitars are known to be quite difficult to play if finger picking due to the strings being tighter together than the classical guitar’s strings. Also, a huge and very significant difference in choosing a classical guitar over an acoustic guitar is that the quality of build and sound are usually not as different between high and low price ranges as they are with lower priced and higher priced acoustic guitars. Any difference that may be detected is very minimal at best. These are the reasons why a classical guitar is the best choice over an acoustic, overall. Now that we have all the facts out of the way, there are five classical guitars that claim to be the best classical guitar choices available. This is, of course, up to the researcher and ultimately, the buyer, to determine. As much information that you can collect about the guitar that you are in the market to eventually buy is crucial to have so that you are in the complete know as to why the guitar that you are holding in the music shop is the best classical guitar or the worst for you to invest in for your musical future. The lowest priced guitar researched, is the Ashton SPCG44TRB. It is a full-sized classical guitar and comes in four high-glossed colors. Australia, among other countries, consider this guitar to be the best classical guitar that a buyer can find on the market. The top is made of spruce wood and the bottom and sides are basswood while the fingerboard is made of maple. A “gig bag”, guitar strap and online guitar lessons all come with this classical guitar as well, making it, arguably, the best classical guitar to get for the least amount of investment. The Hohner HC03 is a 3/4 classical acoustic guitar which caters to kids aged eight to thirteen. Their exclusive A+ Advantage manufacturing system has produced thirty-five structural improvements, making their classical guitar a better and longer lasting instrument. The second choice of classical guitar in the Hohner HAG250P 1/2 sized. This guitar comes with a standard one-year warranty. and is handcrafted with an Agathis top, back and sides. This is the best classical guitar for kids ages five to nine and because it also comes with light gauge nylon strings for small finger, hand and arm muscles to finger pick easily. The Hohner company also adds an A+ plus on their end due to the fact that they are great supporters of music education in schools. Hohner has been in the business of making quality classical guitars for over 150 years and counting. 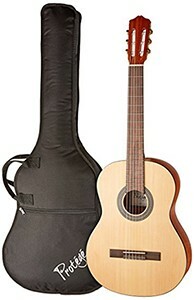 The Hohner HAG250P is a sturdy half-sized classical guitar and is the best selling classical acoustic guitar on Amazon.com. Featuring nylon strings this classical guitar is beautifully easy to play. This Hohner guitar is handcrafted with Agathis wood top, back and sides. This guitar suits a younger player as it’s half-size.